Why Did I Listen To The Murder Complex by Lindsay Cummings? The Murder Complex by Lindsay Cummings was on my TBR list for a wicked long time. I also have been following Lindsay on twitter for what feels like forever and a day, like even before she got her book deal. So, naturally, I’ve been very interested in reading this book. Finally, I got around to it because I just could not stop looking at the cover and the audiobook seemed like it had good narrators. Plus, for some odd reason current events make me feel like reading dystopian fiction. Lindsay Cummings’s debut The Murder Complex is written with chapters that alternate between characters Meadow and Zephyr. Meadow is a fifteen year old girl who is tough as nails. As the book opens, we see how hard her dad has been training her. She’s about to try out for a job with the rations. In order to get that job, though, she must kill the other girl trying out for the job. No hesitation. Of course, Meadow does what has to be done for her family. On the other hand, we have Zephyr. Zephyr is a teenage boy who is a Ward. He has a job where he pretty much kills people as part of the “murder complex” which runs the state of Florida. The population is highly controlled. Anyways, Meadow and Zephyr’s paths cross and all kinds of secrets end up revealed. Also? It turns out that Meadow and Zephyr were both carrying some incorrect preconceived notions. How Did I Like The Murder Complex? Well, I liked The Murder Complex to the point of downloading the sequel, The Death Code via Hoopla immediately after finishing. Granted, I have one book to listen to between this book and the sequel. However, I just really enjoyed The Murder Complex. It’s different from what I’ve been normally listening to and reading. I have not read a dystopia in a long time. I thought the controlled population via the state was very interesting. In addition, I liked the chemistry between Meadow and Zephyr. Oh, and I was totally caught up in the big reveals. 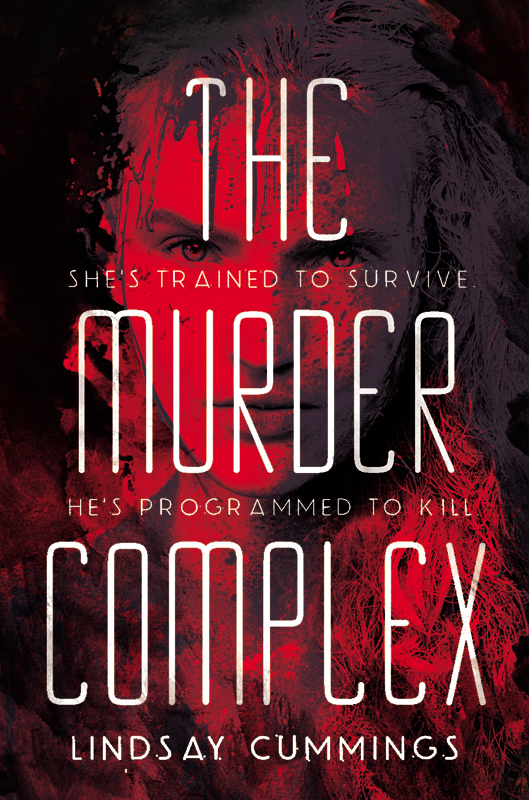 The Murder Complex is narrated by two readers – Caitlin Davies and Josh Hurley. I am pretty sure I’ve listened to audiobooks by both narrators before. I did like Caitlin Davies’s parts better. She just has more of a compelling voice, I think. Josh Hurley did a fine job too, but just not on the same level as Davies. The audiobook is one that went fast for me. Lately they take a little longer to listen to due to a much shortened commute. I whipped through this book though and can’t wait to get on to the next one.